A great starting point to Sega’s legendary Japanese gangster series – now on PC for your 4K enjoyment. There’s something to be said for the humble beat-’em-up. It’s video gaming distilled to its purest essence: walk right and punch people. The formula’s gotten expanded a little over the years, but the core concept of giving baddies much-deserved beatings is still present and accounted for. The Yakuza series has taken this concept and turned it into a long-running and much-loved crime drama series. If you haven’t tried these games out yet, well, here’s your chance – especially now that Yakuza is finally showing up on the PC with a sensational Steam port of Yakuza 0. Yakuza 0 takes place in the 1980s and follows series hero Kazuma Kiryu during his time as a newbie in the Dojima crime family. He’s got his nose to the grindstone, rising up the ranks as one might expect by doing as he’s told and doing it well. That all gets upended after a vital section of the family’s turf is the scene of a murder…and Kiryu was the last one there, having just shaken down a debtor. One of the higher-ups in the family is looking for a patsy and Kiryu fits the bill, but he’s not going to take it lying down. Kiryu’s not the legend he is in other installments, but that doesn’t mean he’s any less of a giant badass. As usual for this series, you’ll typically solve your problems with violence, namely by beating up everyone who crosses you in classic brawler style. You can mix things up by switching to different fighting styles, each of which can be upgraded, or by grabbing any number of weapons strewn all over the place. When it’s time to end the fight you can do it in style with brutal finishing moves. There’s tons and tons of combat in Yakuza 0, so it’s fortunate that it’s a pleasant experience rather than a chore. Oh, and Kiryu’s not the only playable character here. Goro Majima, a fan favorite from previous titles, also takes center stage throughout the game. He’s got his own set of fighting styles, interacts with weapons differently and can be upgraded separately from Kiryu, along with exploring different areas that include different side activities to get lost in. On top of that, he might be even more badass. It’s hard to believe, but trust me – the second you see this guy’s intro cutscene you’ll be sold. It’s something else. I mentioned side activities and series veterans won’t be surprised to find that there’s plenty of that to go around in Yakuza 0. You’ve got your arcade games, of course, and they’re period-appropriate titles for the setting like Super Hang-on, Space Harrier and Outrun. There’s also the classic crane game, along with fully-featured versions of mahjong and shogi. On top of all that, you’ve got side stories to partake in as well, including such outlandish situations as Kiryu pretending to be an 80’s-style TV producer to help out a camera crew. It’s all a little nuts and helps to take the edge off the hard-edged crime drama that makes up much of the game’s story. All of this is tied together with the Yakuza series’ usual high-quality presentation and attention to detail. These games are a labor of love and it shows, from the fact that you can read little blurbs about Japanese magazines in convenience stores to the tempting food options in the ingame restaurants. Dialogue is all in Japanese and subtitled as usual, so as far as I know it’s amazing, and the game is graphically impressive even given that it’s on a more powerful platform than previous entries. The biggest change here, of course, is that you’re playing on PC. That’s a big deal; the sky is the limit when it comes to hardware on this platform, after all. The jump from PlayStation to PC was a smooth one as Yakuza 0 looks, sounds and plays great on a decent PC, including 4K options if you’ve got the power for that. Naturally, it lends itself well to gamepad controls. 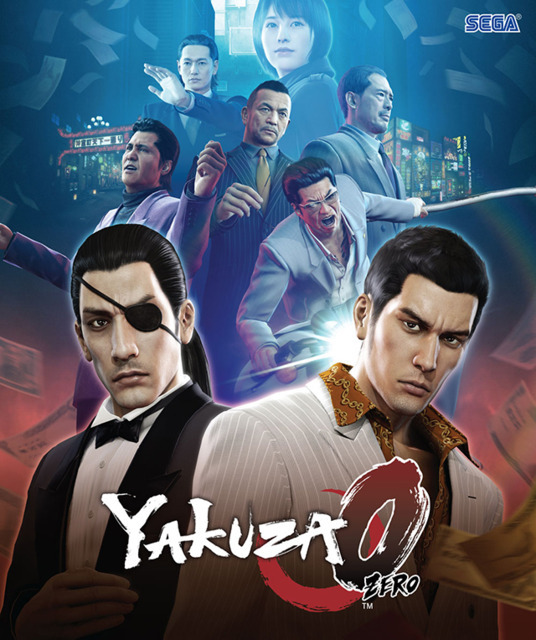 Yakuza is an intimidating series given its many entries and the intertwining storyline that connects them, so having a great starting point like Yakuza 0 was a winning idea that benefits everyone. There’s more content than you could ever want, a fascinating story to keep you playing and some of the gaming world’s most intense combat – Yakuza 0’s got it all. Check it out.